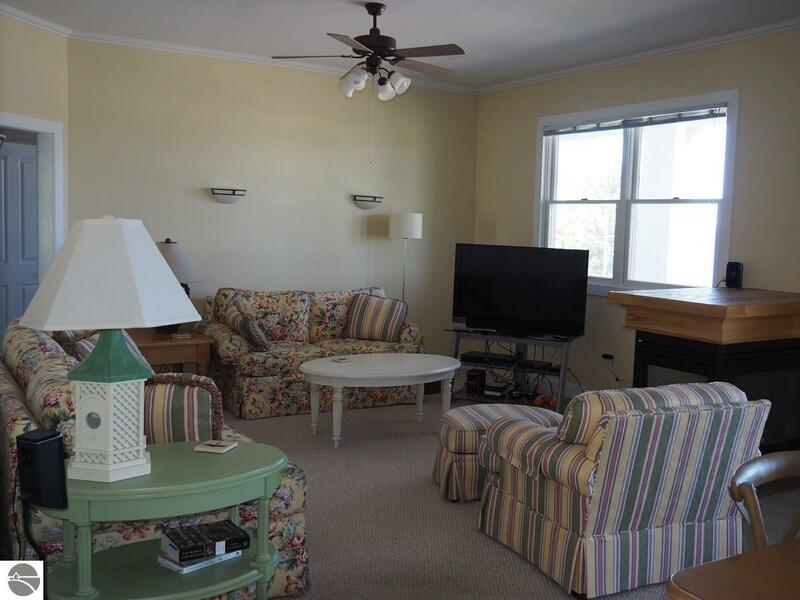 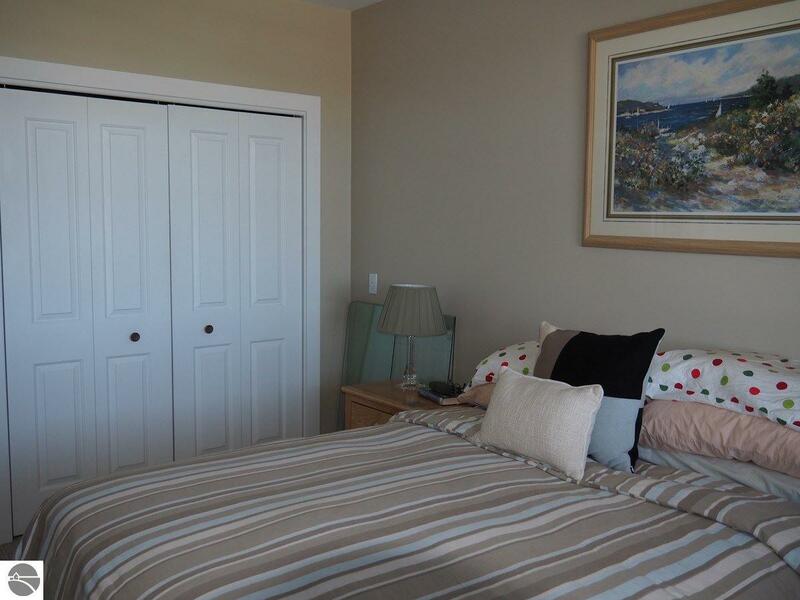 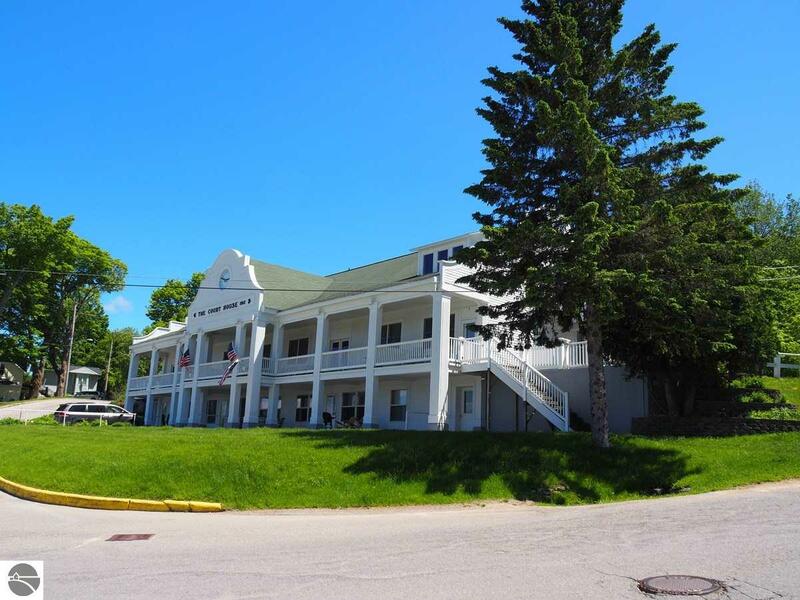 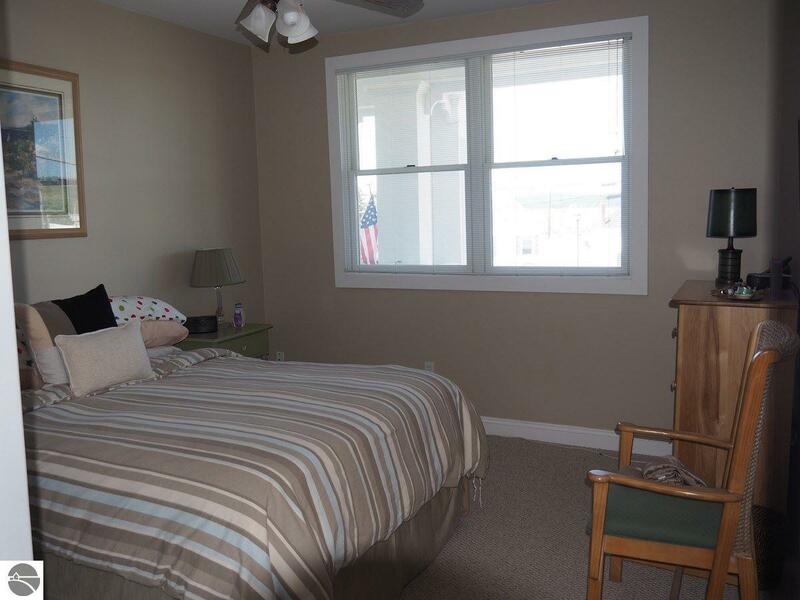 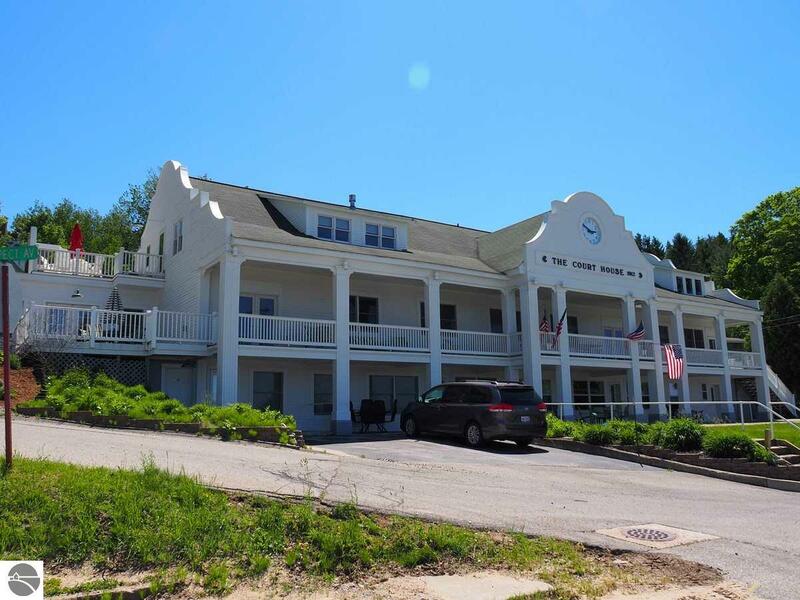 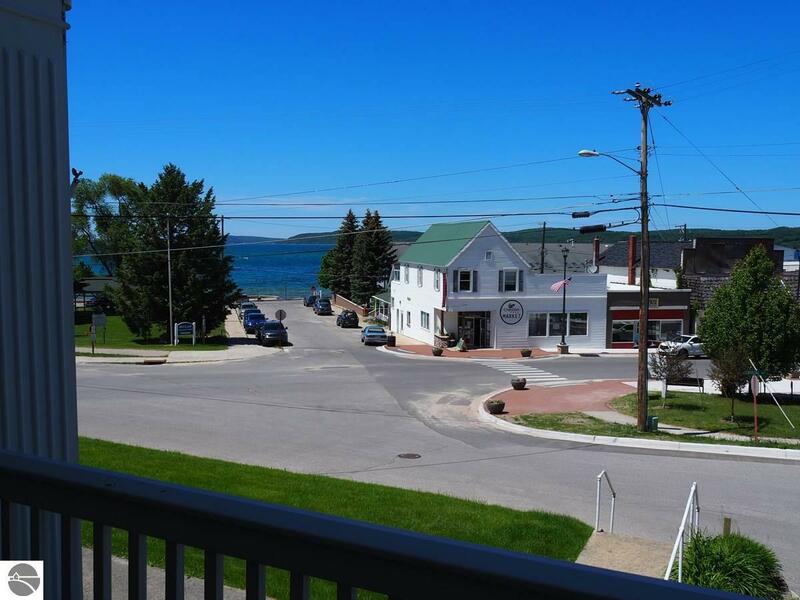 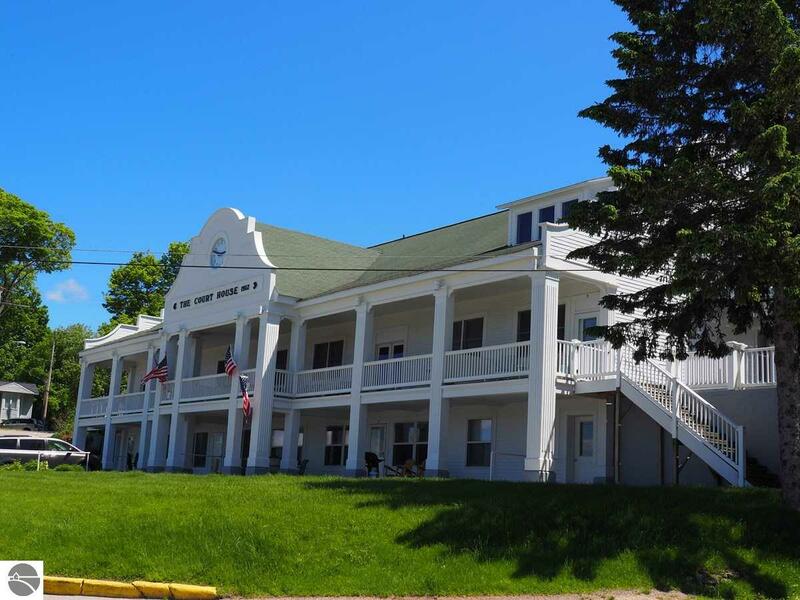 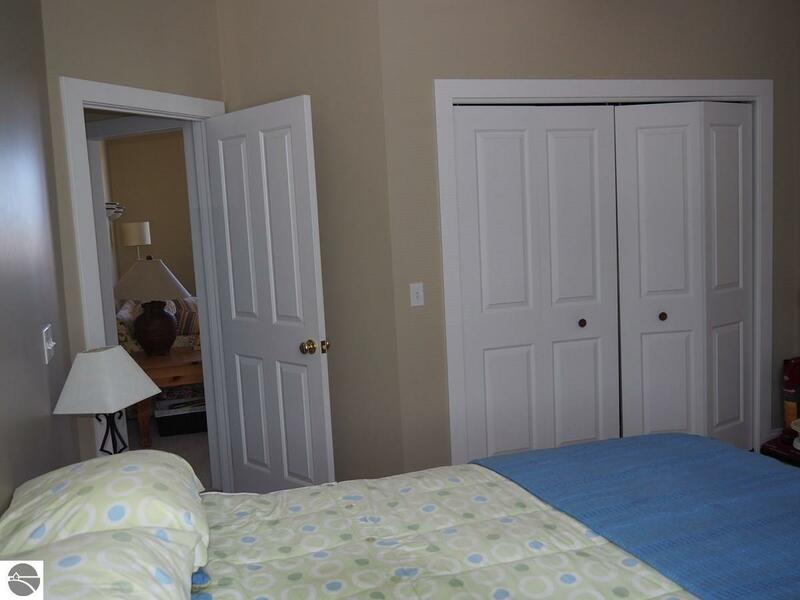 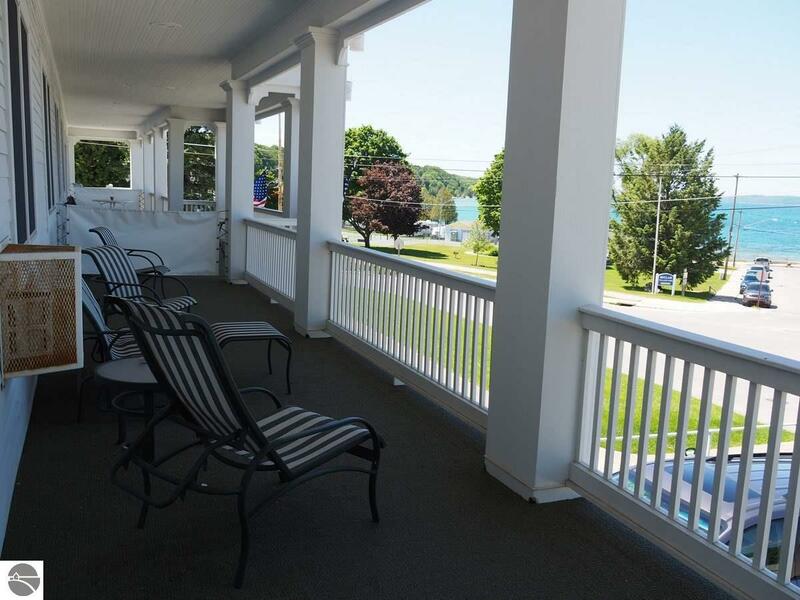 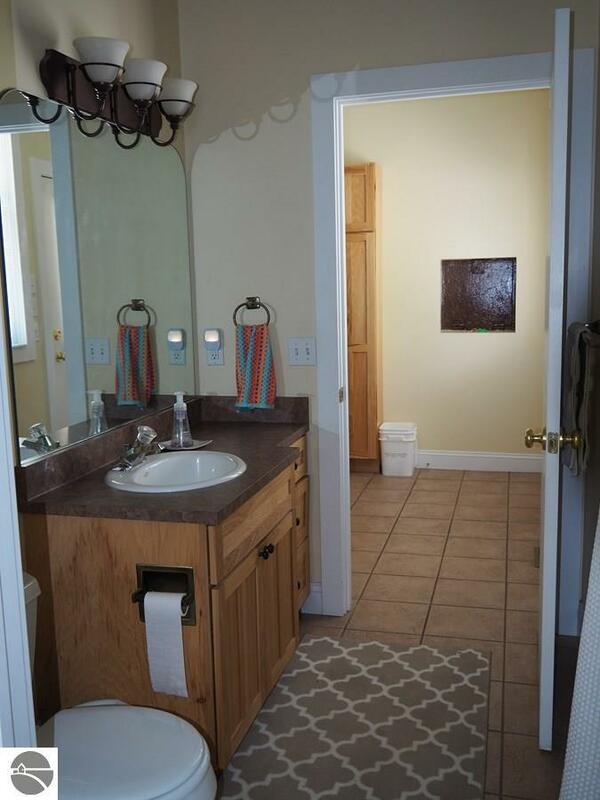 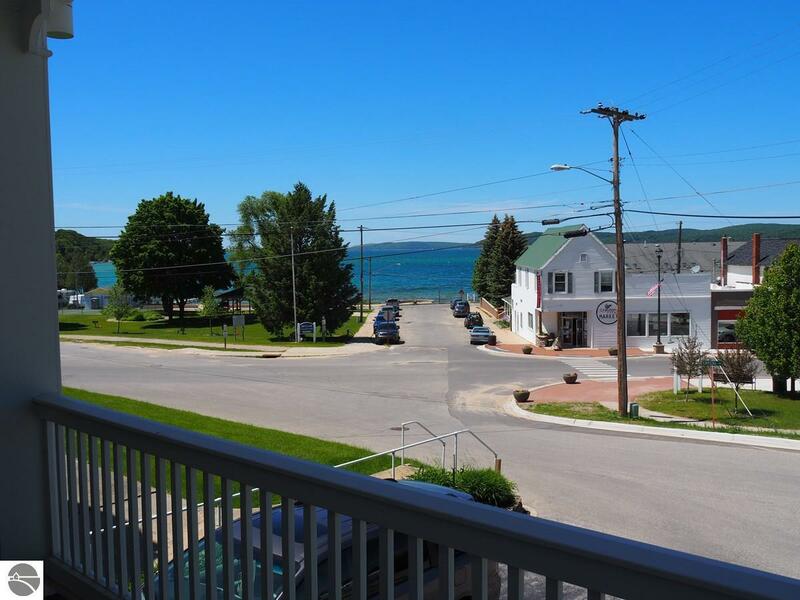 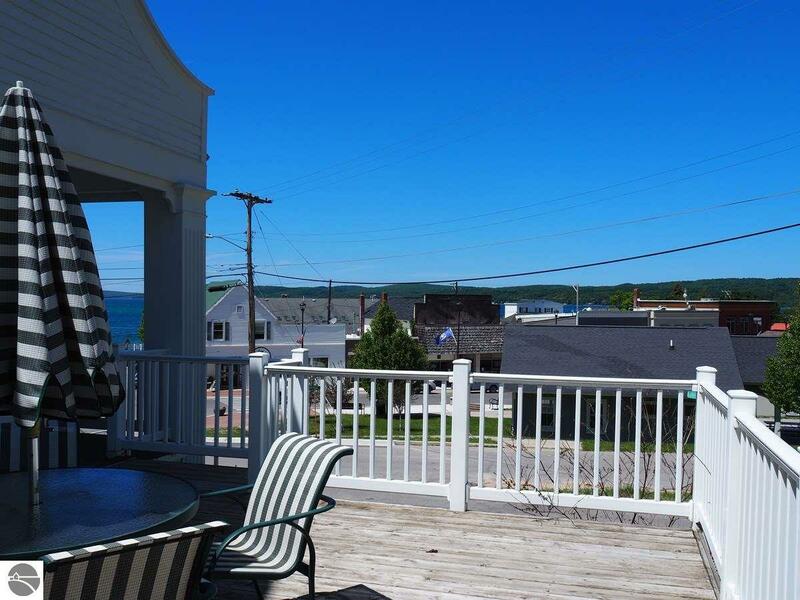 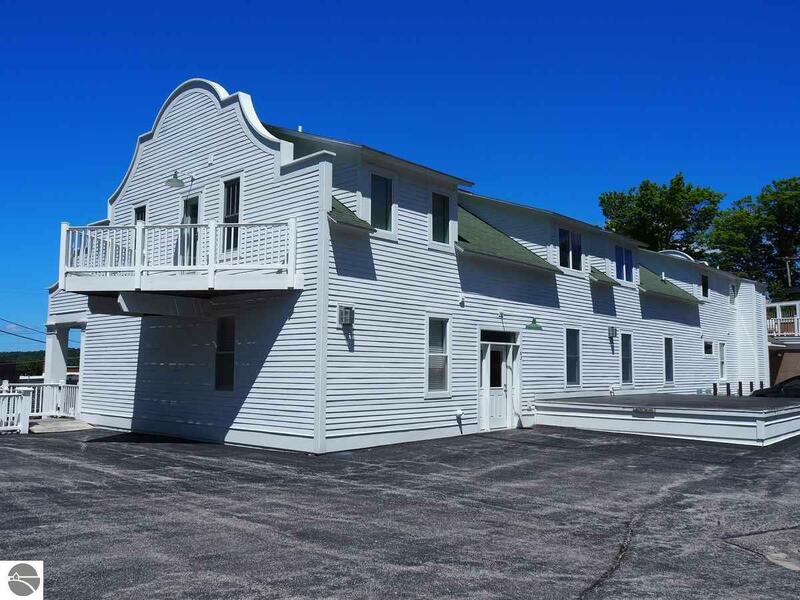 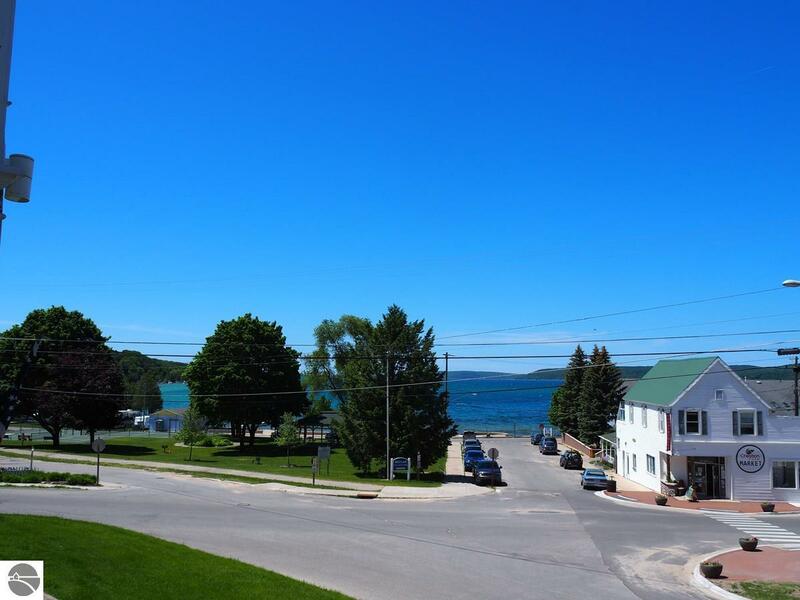 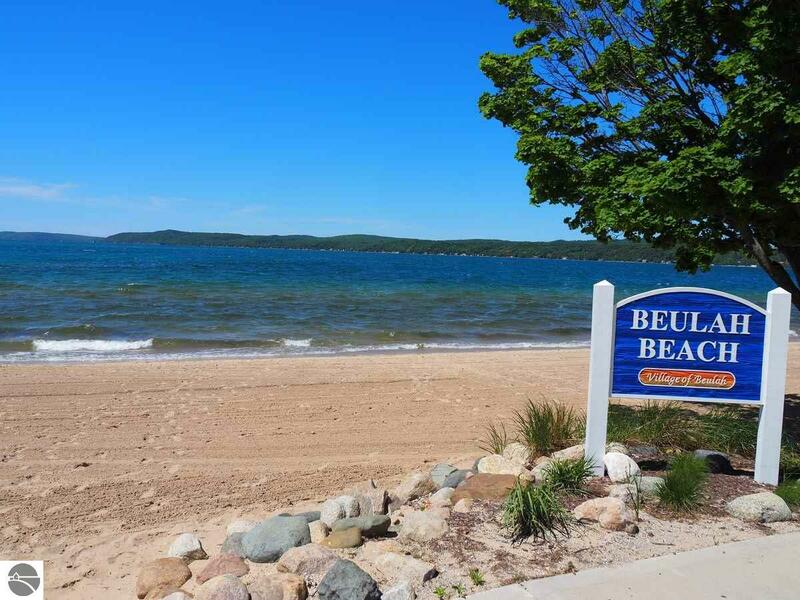 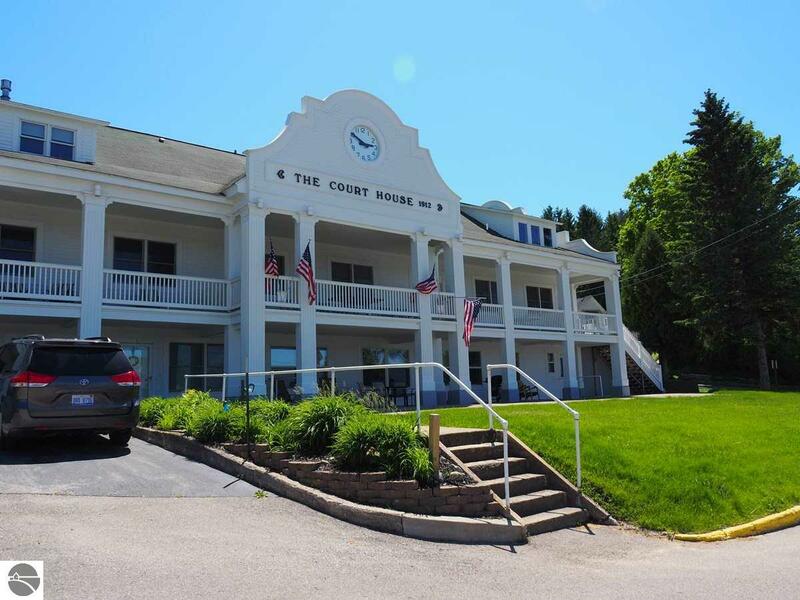 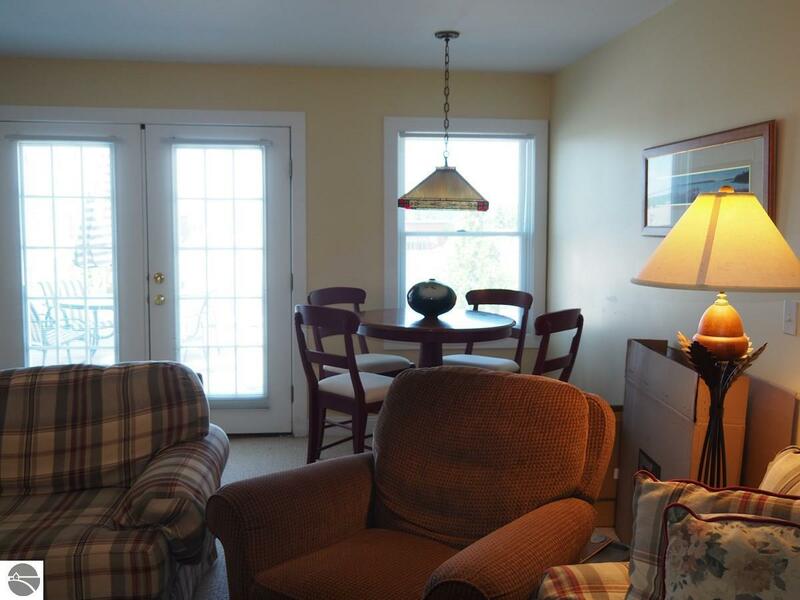 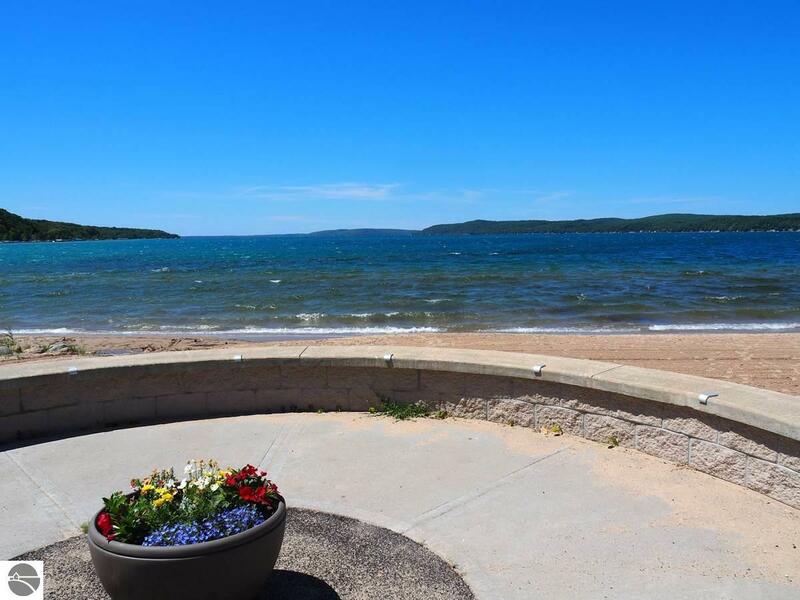 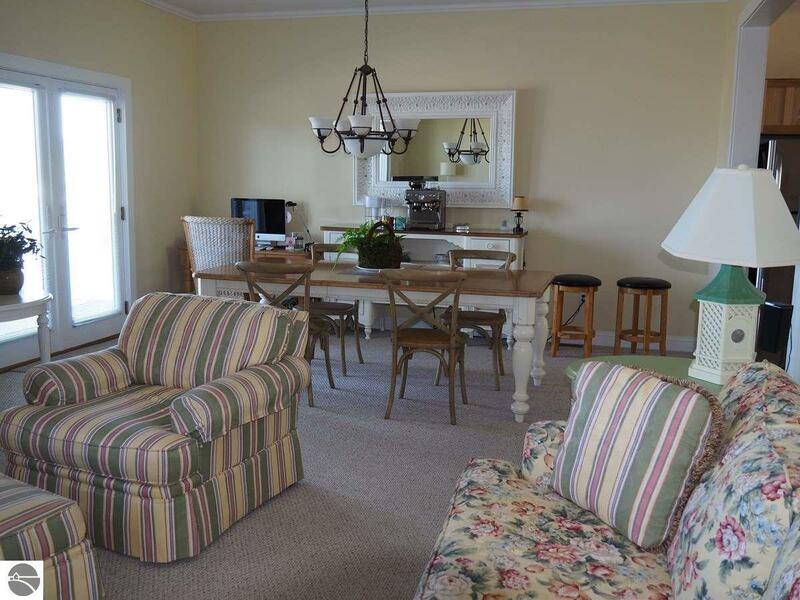 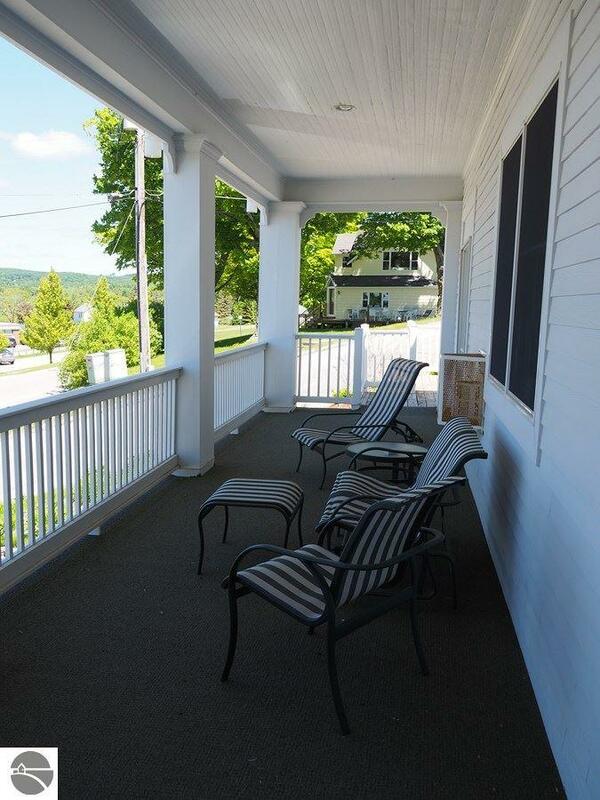 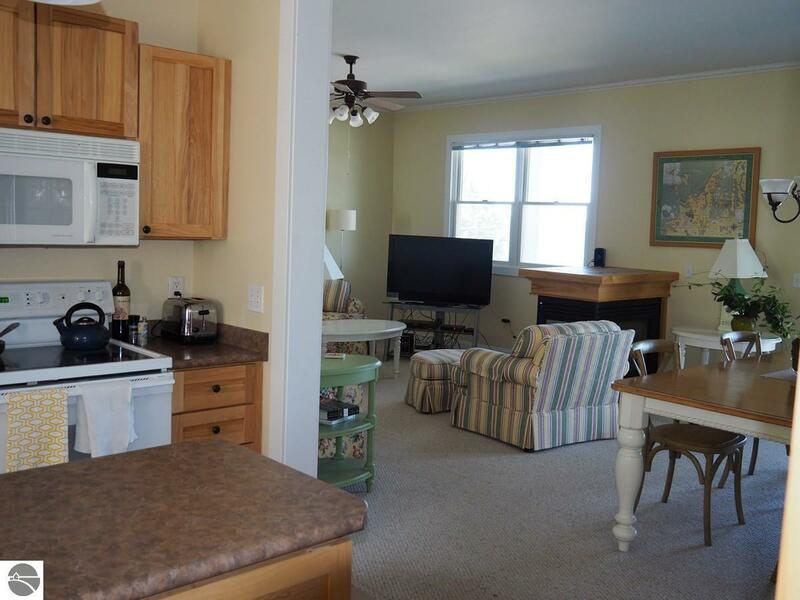 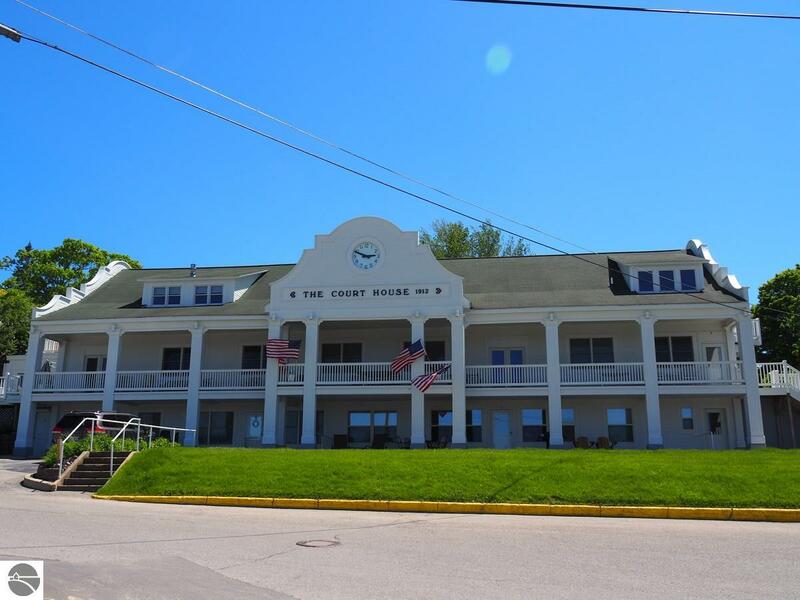 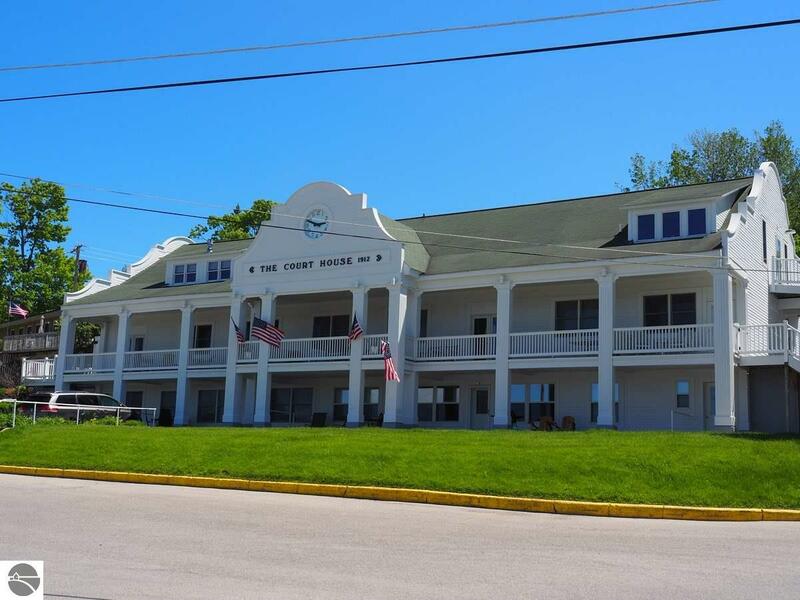 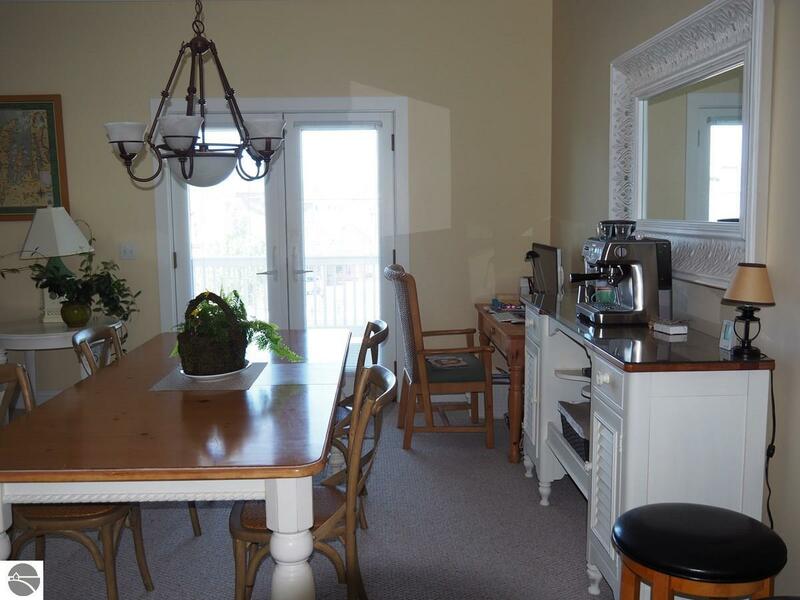 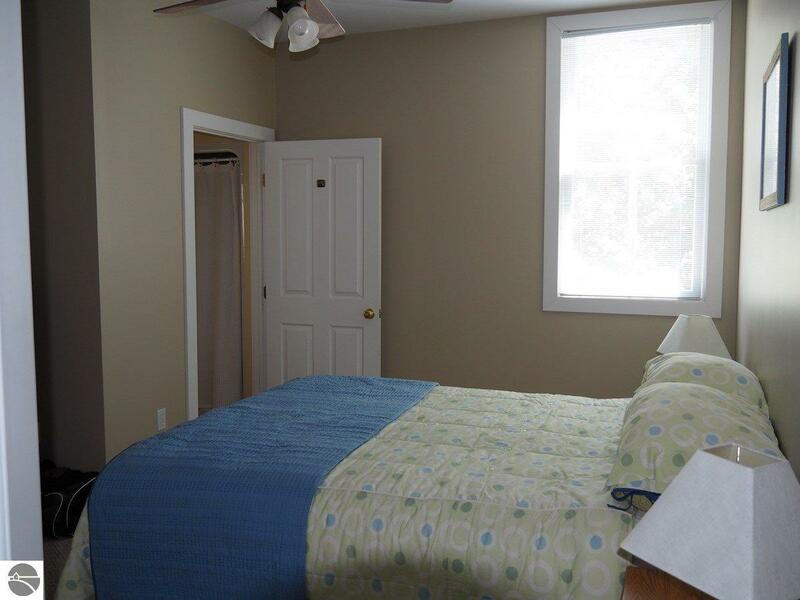 Wonderful views of Crystal Lake and a short stroll to the beach from this spacious, ground floor two bedroom, two bath condominium in the historic Old Courthouse (Condominium) Building in Beulah. 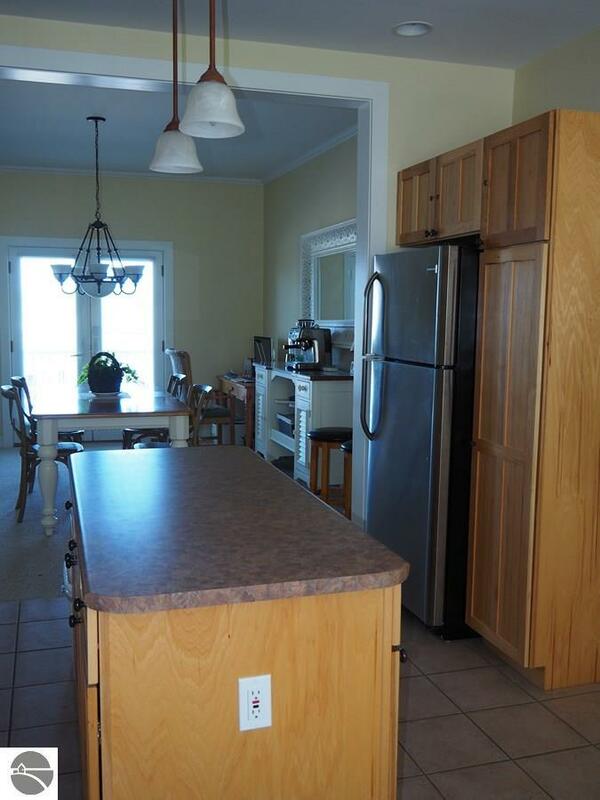 All living on one level — no steps up or down from the large parking lot to the entryway, either. 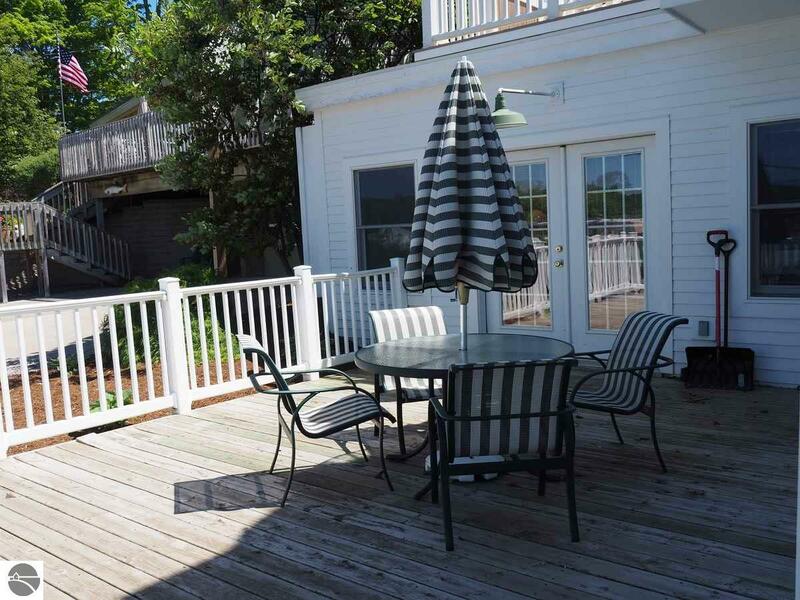 Open the French doors from the family room to the private, lake-facing deck. 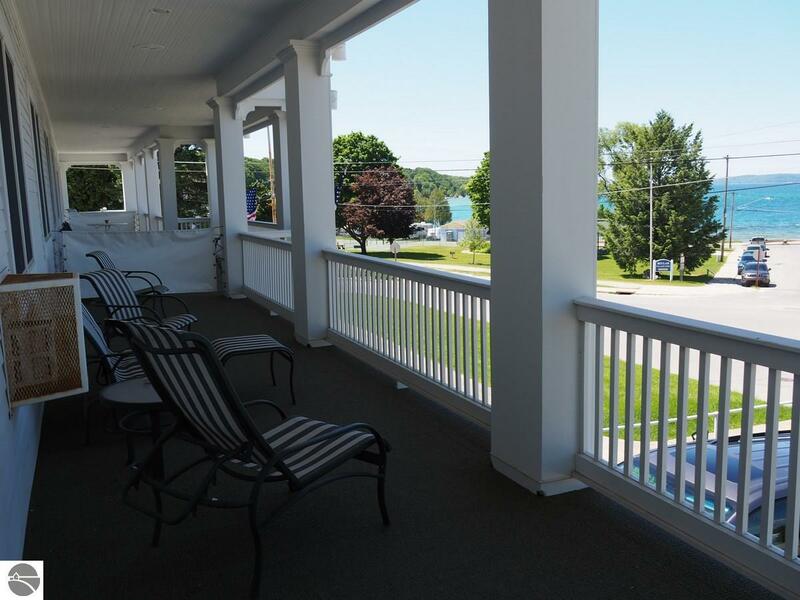 The covered porch offers additional views of the lake, park and village. 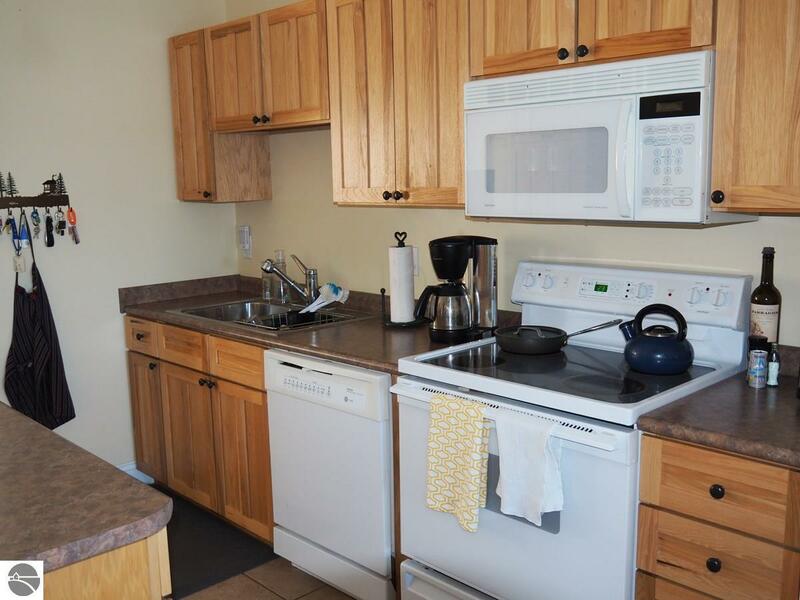 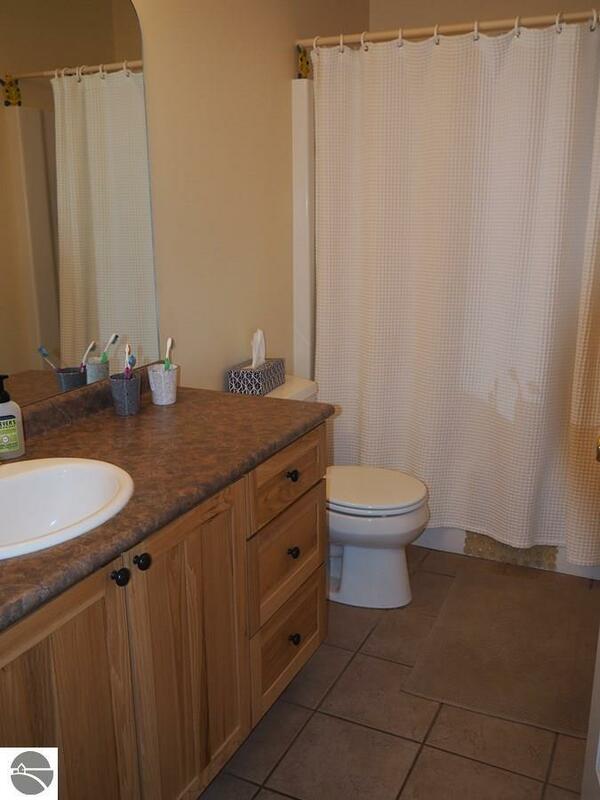 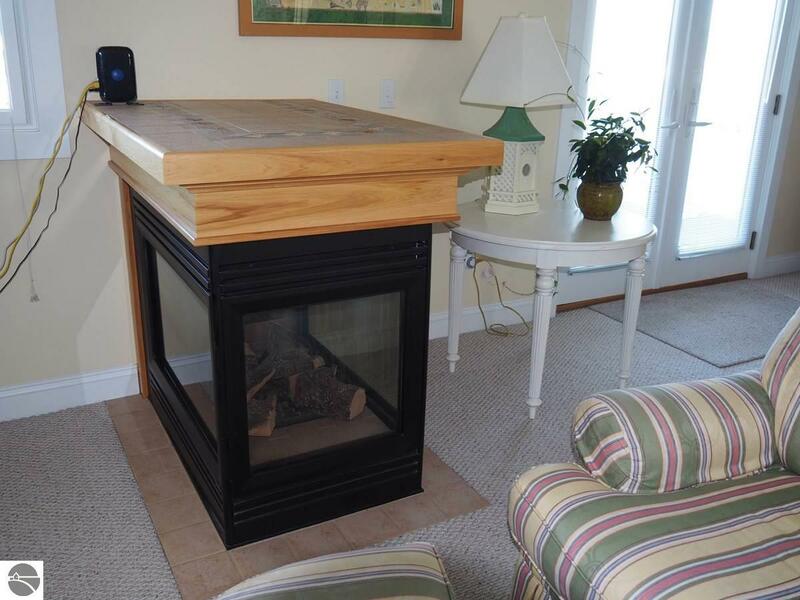 These amenities alone would make for an excellent seasonal rental unit, but there is more. 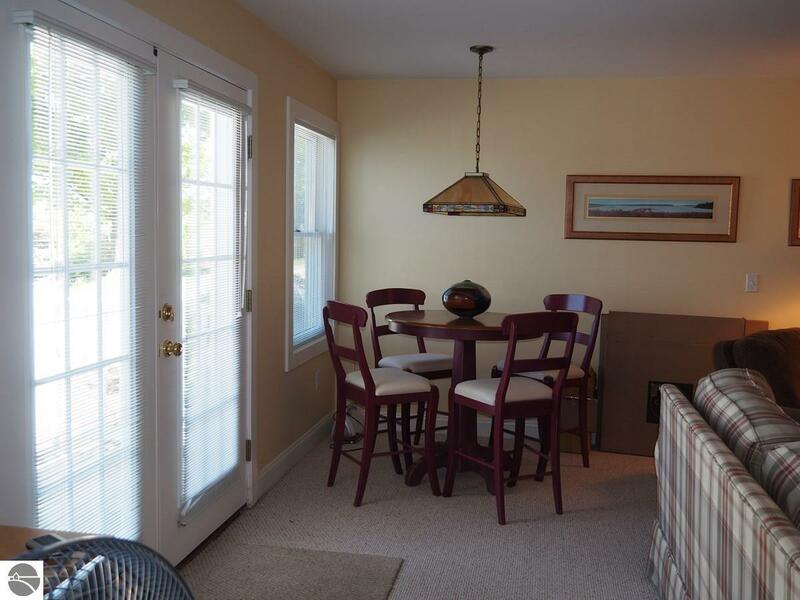 Easy, arm’s reach kitchen and open living/dining areas offer a cheerful, conversational design, perfect for entertaining. 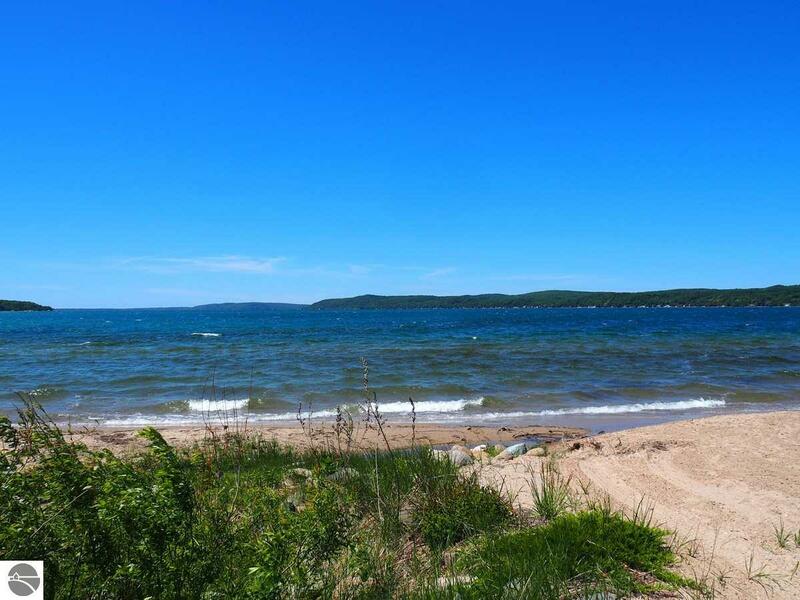 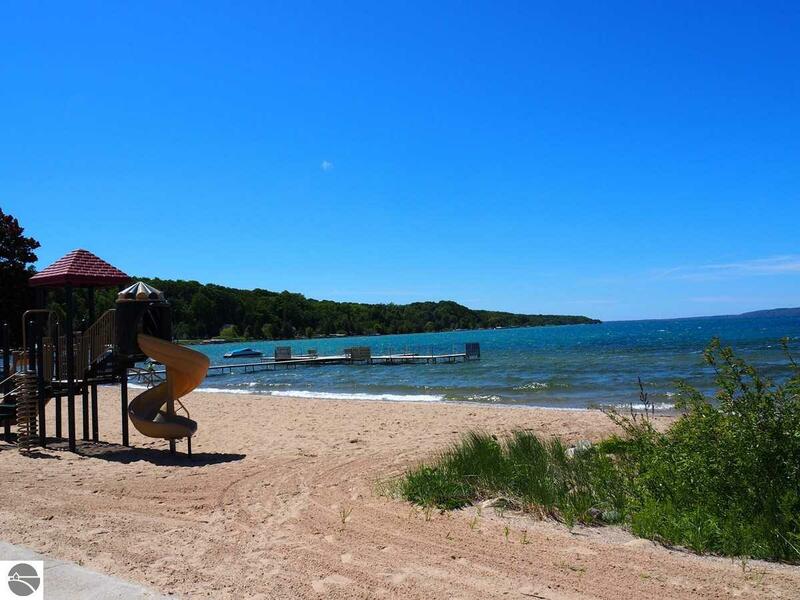 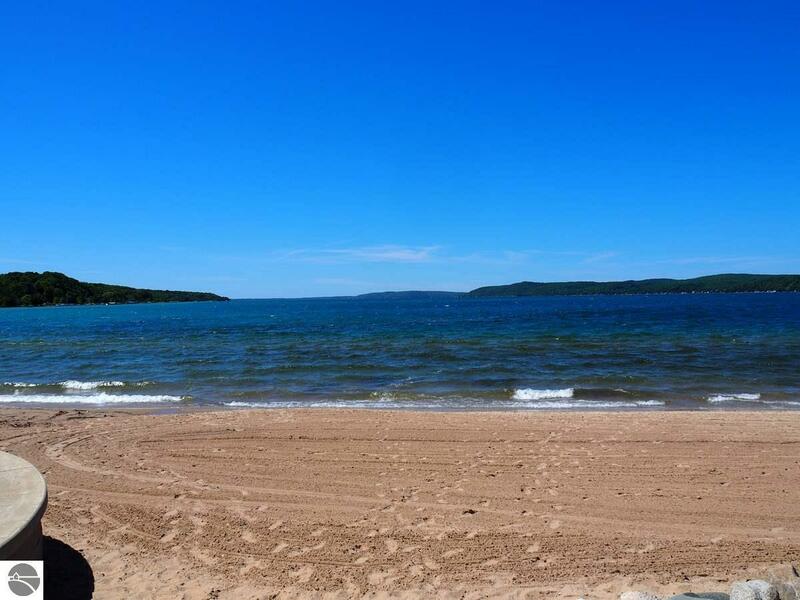 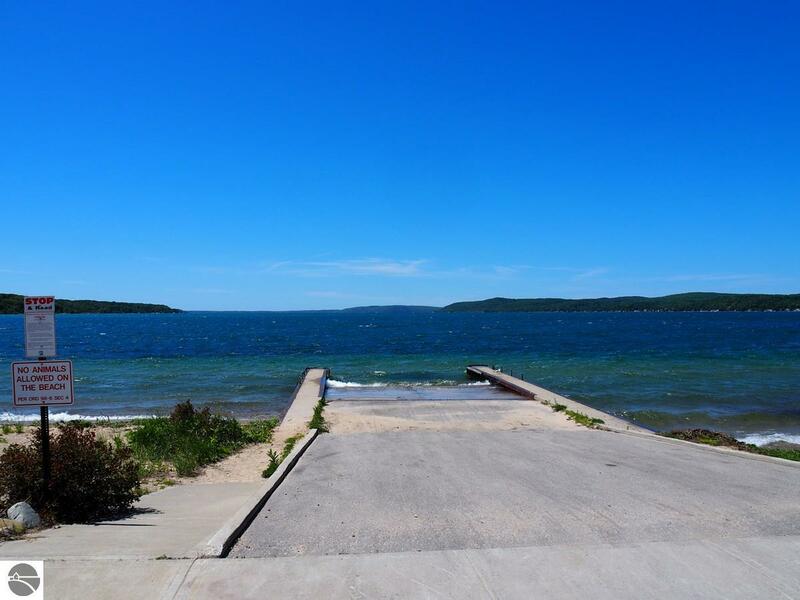 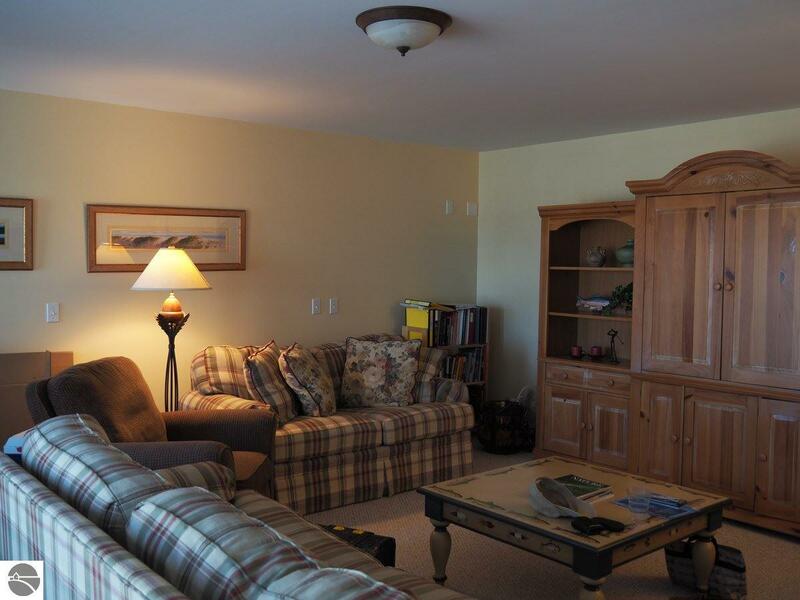 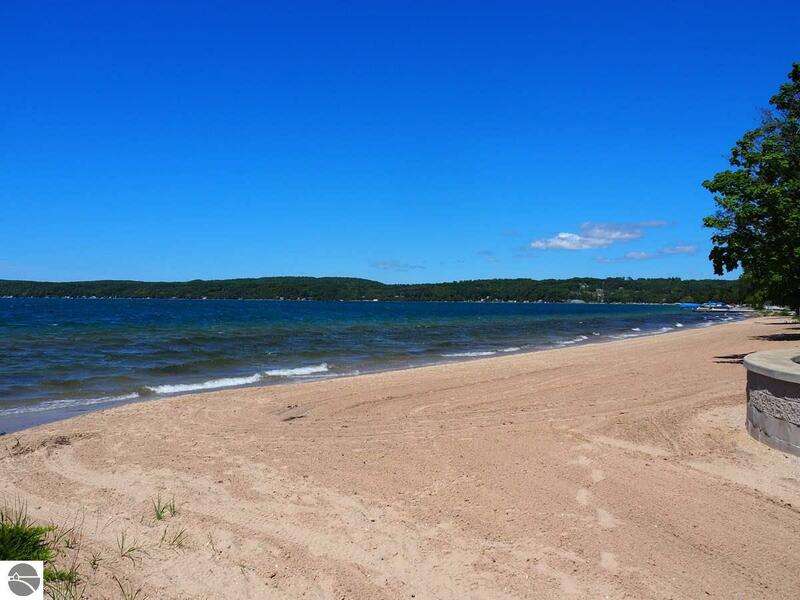 It’s just a short drive to several area golf courses and Sleeping Bear Dunes National Lakeshore (Lake Michigan), and convenient highway driving to Crystal Mountain Resort or Traverse City.